The Building Plan includes a new fellowship hall and kitchen, new gathering space and accessible restrooms, sanctuary improvements, additional parking, and dedicated meeting space for the church youth. 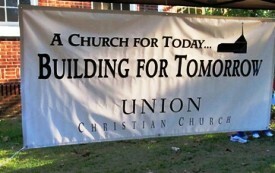 Union Christian Church decided within the last year to begin a Capital Building Campaign to build an addition and renovate the historic church. The Building Plan includes a new fellowship hall and kitchen, new gathering space and “handicap” accessible restrooms, sanctuary improvements, additional parking, and dedicated meeting space for the church youth. It started with a goal to raise approximately $ 300,000.00 over a 3 year period. The addition is 3165 sq. 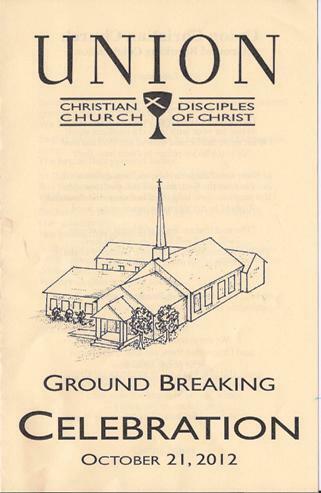 ft. and the latest figure on total cost is $ 404,000 (before fundraising the church had $ 133,190 on hand). 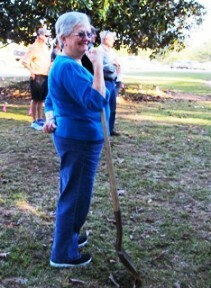 Members and friends of the Church responded well and much of the money was raised early on. 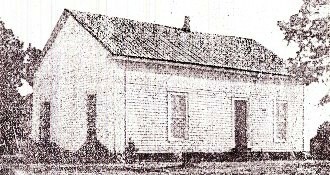 The Church proceeded to have the plans drawn, bid and contracted. 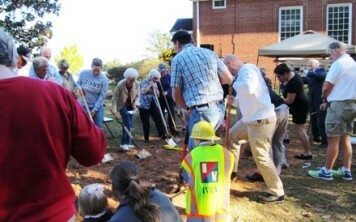 The Groundbreaking was held on Sunday, October 21. 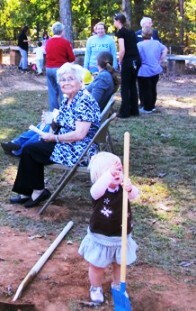 The event participation included the oldest and youngest active members. My Dawson Extended family has a lot of roots and heritage at Union Church.My parents, grandparents and many other relatives are interred in the Union Church Cemetery. We think this is a good move and will benefit the church with more membership and more modern facilities. 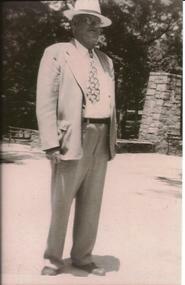 The Hassie & Cliff Dawson Family Reunion for July 2013, is scheduled to be held there. There is much history of the church and its cemetery. The Current Sanctuary was constructed in the late 1940’s with the moving of a military chapel to the site of the old church. A longtime minister at the Church in the 40’s and 50’s was Rev Dan Joiner.He married my parents, Aunt Becky and Milton Barnette and many more couples of that era. 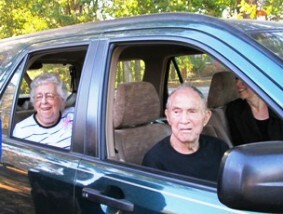 Ruhl & Charlotte Dawson watch from their vehicle with their daughter, Nan Dawson Deal. Jean Maxey Dawson & her husband, Ned Dawson, live across the road from the church. 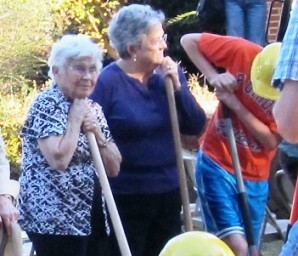 They are lifetime members and have been stalwarts in the church. They raised their three children, Mark, Patti Clark and Jeff in Union Church. Now Patti’s children, Harrison and Hailey Clark are active members being at least the fifth generation of active family membership. -A new Fellowship Hall and kitchen that we can be proud of, providing us with comfortable, inviting space for fellowship and funeral meals, wedding receptions, community groups, youth activities, concerts, Christmas pageants, and so, so much more. 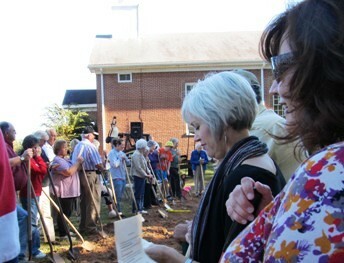 - Ample parking (new parking will be along the Whippoorwill Road side of the church building).